Using Lightroom's "Print to JPEG File" feature, you can combine multiple images into one photo and save it for use on social media sites, email or printing. In this example, I created a grid of four pictures. But there are many variations. 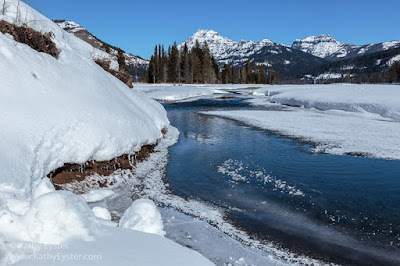 The video tutorial by Julianne Kost at the end of this post has more ideas. 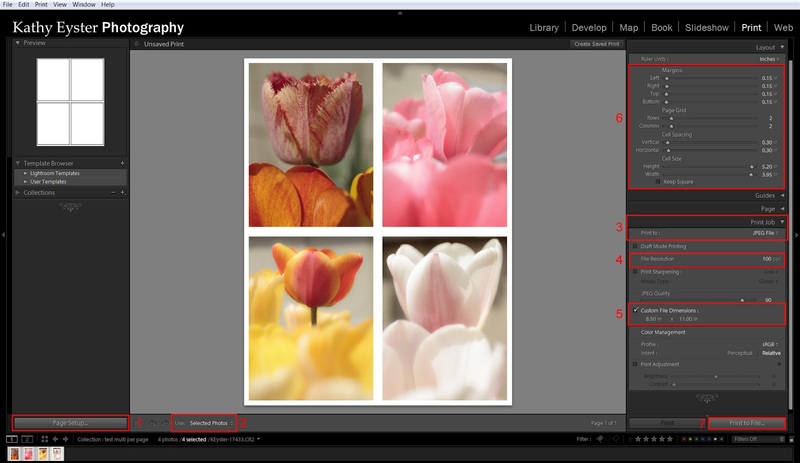 Start your combination by selecting the images you want to use in the Library module. It is easiest if all the photos are the same orientation (vertical or horizontal) but not a requirement. Optionally, you may want to add your selections to the Quick Collection (type b). This allows you to easily rearrange the order of the pictures, which affects how they appear in your layout. 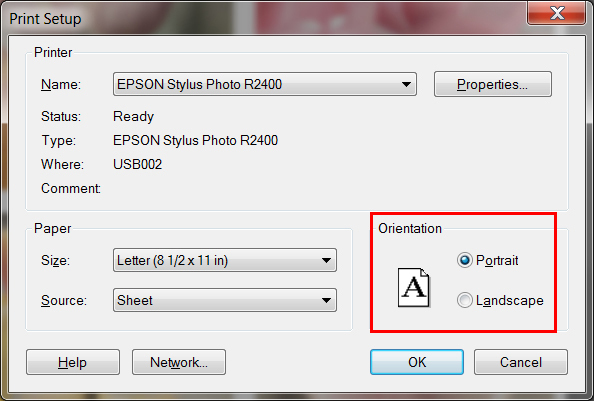 Switch to the Print module to create the layout. Click the Page Setup button first. (A Mac has two buttons, a Windows machine only one.) The window will look different depending on the brand of your printer and whether you are using Mac or Windows. The printer model doesn't matter because you are not using paper. And the paper size doesn't matter either; you will set a custom size in a different menu. What's important is selecting the orientation of your paper. 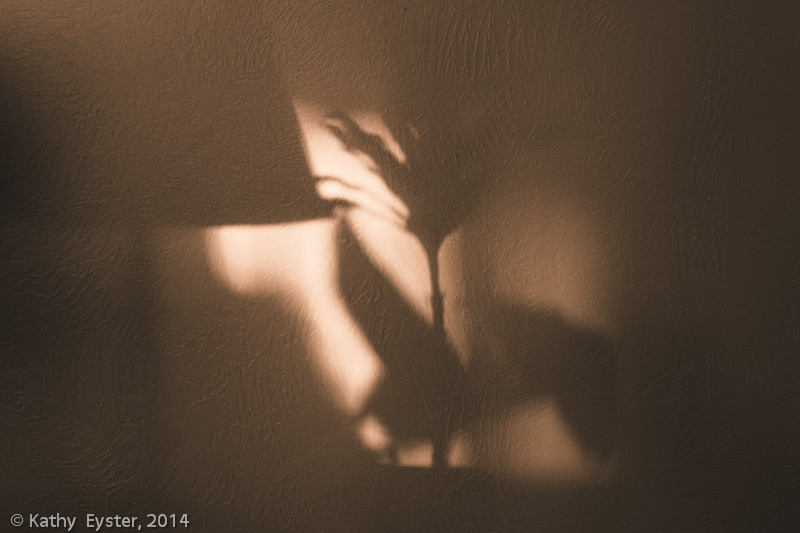 I chose Portrait because I had selected all vertical images for my combination. Next, below the preview in the center, click the Use drop-down menu and choose "Selected Photos." The default is All Filmstrip Photos. If you don't change this, you will get multiple files! Now switch to the Print Job panel on the bottom of the right side. Here is where you tell Lightroom to create a JPEG file instead of a paper print and set the size of your final combination. Make the following choices in the panel. Turning on Custom File Dimensions allows you to create a custom size image and set zero margins, making the pictures flush with the edge. For my combination, I left the dimensions at their defaults of 8.5 inches by 11 inches. The Color Management section makes sure that your colors look good on the web as well as your monitor. 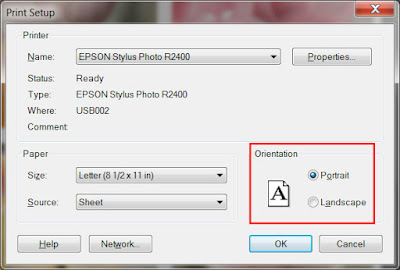 Turn off Print Adjustments since they only apply to paper prints. Now you are ready to customize the layout of your images. Be sure they are selected in the Filmstrip so you can see the effects of your choices. In the Layout panel you set the number of rows and columns for your images, the size of the pictures (cells), the amount of space between them and any margins on the outer edge. In my example, I have 2 rows and 2 columns with margins of 0.15 inches on all sides, and vertical and horizontal spacing both of 0.3 inches (double the margin amount). I made the cells as large as possible by dragging the sliders all the way to the right. 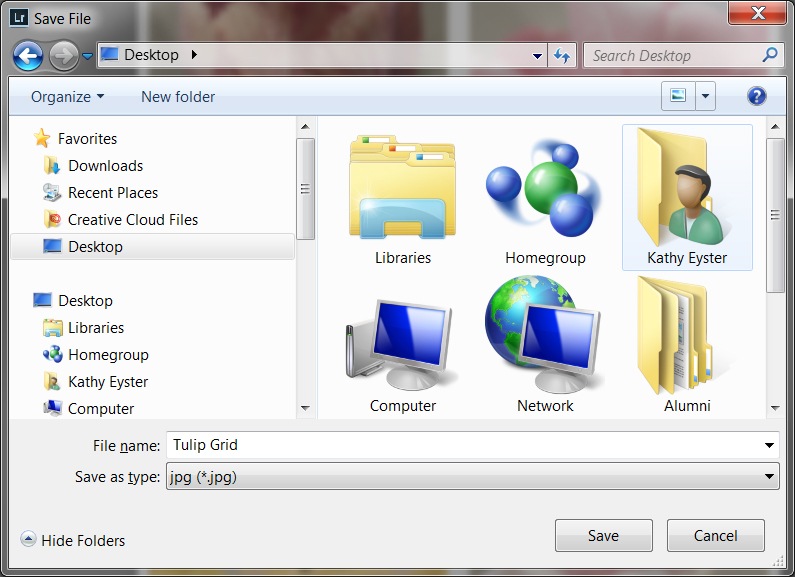 Once you are finished with the choices in the Layout panel, you can create the file. But there are some other options you might want to play with first. 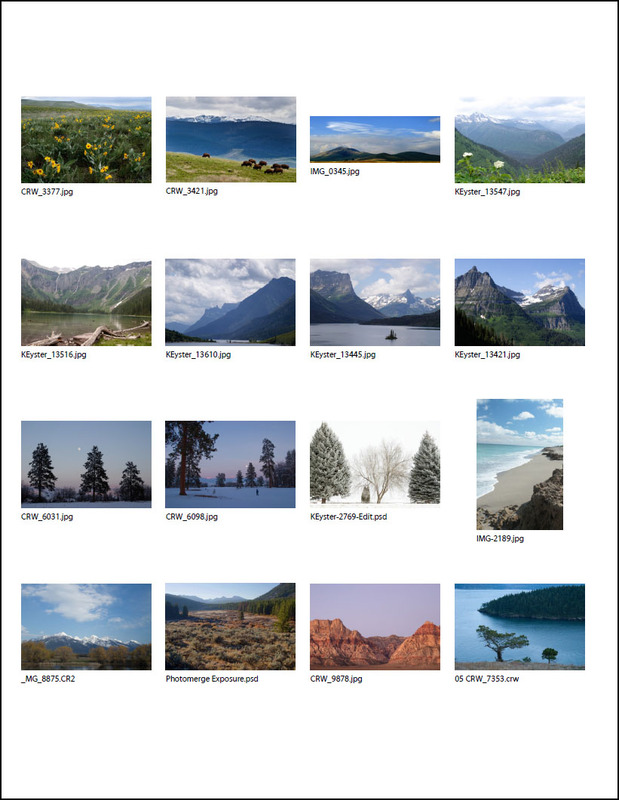 The Image Settings panel lets you make all the pictures the same size by using Zoom to Fill. And you can add a thin border around each image, if you like. In the Page panel you can change the background color from white to black or a shade of gray. Makes all the pictures the same size. Adjust the photo position slightly by dragging it. Change the color by clicking on the color swatch. Adjust the width with the slider. Click the color swatch to change it. After you have worked to create a layout you like, you might want to use it some time in the future. You can save all your choices as a new preset in the Template Browser (optional). Just click on the plus icon next to "Template Browser". A window appears where you can give the layout a name. Click Create to save it. 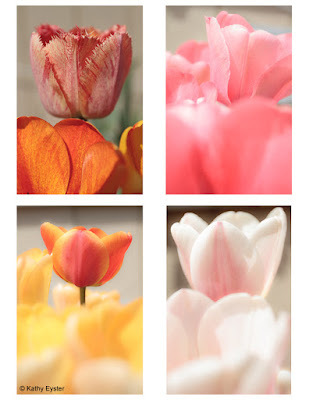 Now that your combination of pictures is finished, click the Print to File button. Lightroom opens a Save window where you can tell it a location and give your final combination a name. 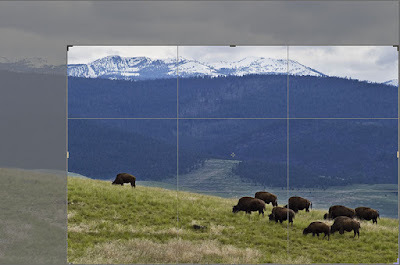 To create a horizontal strip of multiple images, see this video by Julieanne Kost of Adobe. Using Lightroom's Print to JPEG File capability, you are ready to make colorful combinations of many of your photos.